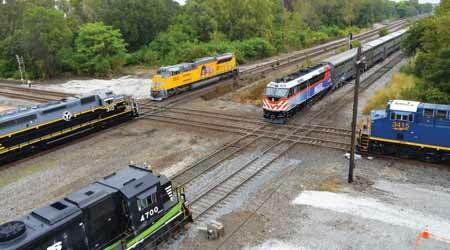 At a ceremonial groundbreaking Oct. 1 at the site of the planned Forest Hill Flyover, five locomotives were positioned at the Belt Junction to represent some of the railroads that use the busy crossovers each day: CSX, NS, UP, BRC and Metra. Since it was launched in 2003, the Chicago Region Environmental and Transportation Efficiency (CREATE) Program has targeted ways to relieve freight and passenger train congestion in the nation’s busiest rail hub. Chicago is the No. 1 chokepoint in the U.S. rail network, with about 760 passenger and 500 freight trains traversing the large metropolitan area each day. Estimated to cost $4.4 billion, the CREATE program involves 70 rail and road improvement projects in the Chicagoland area, 29 of which had been completed through November. A public-private partnership among more than a dozen railroads and government agencies is pursuing the projects, which range from new tracks to grade separations to highway bridges to signal upgrades. The partners include the Association of American Railroads (AAR), Illinois and Chicago departments of transportation, Cook County, Amtrak, Metra, BNSF Railway Co., Canadian Pacific, CN, CSX, Norfolk Southern Railway, Union Pacific Railroad, Belt Railway Co. of Chicago (BRC) and Indiana Harbor Belt Railroad Co. (IHB). After all the work is completed — which will take a number of years due to additional funding needs and efforts to complete more preconstruction tasks, such as environmental studies — the area’s rail network will be able to accommodate many more freight trains. CREATE partners project that by 2051, the revamped network will handle up to 50,000 more of them annually. Meanwhile, as individual projects are finished, passenger train delays will be eased for Amtrak and Metra, and commuting delays will be reduced for motorists and pedestrians. The next major cog in the CREATE program that figures to significantly alleviate rail congestion and help area commuters is the 75th Street Corridor Improvement Project (CIP). In addition, the somewhat related Argo connections (CREATE project B9) might start next year before the CIP gets rolling construction-wise. Slated for completion in 2025, the $474 million CIP includes four separate projects that are expected to start at different times over the next several years. CREATE partners aim to separate several freight- and passenger-rail lines in the 75th Street corridor that runs through Chicago’s Ashburn, Englewood, Auburn Gresham and West Chatham neighborhoods. completing associated signals, tracks, crossovers and bridge upgrades. The CIP is designed to eliminate delays at the Belt Junction, Chicago’s busiest rail intersection where 90 freight trains and 30 Metra trains cross at grade each day, and five tracks funnel down to two. A series of diamonds at the junction are used by CSX, CP, CN, NS, UP and BRC trains. Just about all the railroads operating in Chicago go through and/or crisscross in the areas covered by the CIP, says CREATE Program Chief Engineer Bill Thompson, who works for the AAR and has been involved in the program for 13 years. “It’s a huge chokepoint — perhaps one of the largest in the country. It needs to be removed,” he says. 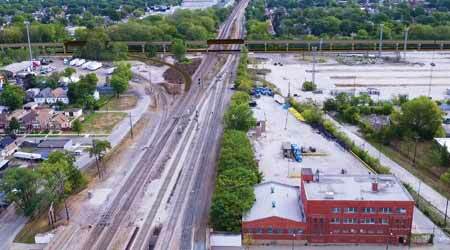 Building the flyover and an additional Metra mainline will ease congestion and reduce freight conflicts, and connect Metra’s SouthWest Service with existing Rock Island District tracks to increase capacity and boost reliability, CREATE partners say. A rendering of the Forest Hill Flyover in a photo shows how it will run across the Belt Junction and free up space for more tracks. SouthWest Service trains then could access LaSalle Street Station instead of Union Station, freeing up capacity at Union Station for increased Amtrak service and proposed high-speed trains. In addition, the CIP is expected to improve Amtrak Cardinal service performance by eliminating freight conflicts in the vicinity of 80th Street, and reduce motorists’ delays and prevent accidents at the 71st Street grade crossing by separating road and rail traffic. 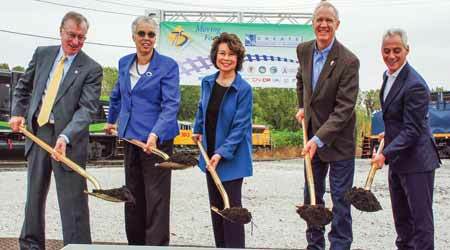 (From left) AAR CEO Ed Hamberger, Cook County Board President Toni Preckwinkle, U.S. Transportation Secretary Elaine Chao, Illinois Gov. Bruce Rainer and Chicago Mayor Rahm Emanuel helped break ground during the CIP ceremony held Oct. 1. The CIP won a big chunk of federal funding in June, when the U.S. Department of Transportation announced CREATE would receive a $132 million Infrastructure For Rebuilding America (INFRA) grant to help fund the work. On Oct. 1, CREATE officials held a groundbreaking ceremony to mark the receipt of the grant. The event was attended by U.S. Transportation Secretary Elaine Chao, AAR President and Chief Executive Officer Ed Hamberger and other dignitaries. The INFRA funds also will help pay for the Argo connections, although the B9 project isn’t part of the CIP, says Thompson. The grant will help advance P3, GS19 and B9 — all of which are in the design phase — and cover only the design work for P2 and EW2, he says. The CIP also will be funded by $116 million from six Class Is (BNSF, CP, CN, CSX, NS and UP), $111 million from the Illinois DOT, $78 million from Cook County, $23 million from Metra, $9 million from the Chicago DOT and $5 million from Amtrak. Most of those Class Is will benefit from the Forest Hill Flyover — a key element of the CIP that will be built adjacent to CSX’s Forest Hill Yard at 75th Street. Rising as high as 23 feet and stretching well more than 100 feet, the bridge will free up tracks at the busy Belt Junction. The structure also will eliminate conflicts between 30 SouthWest Service Metra trains and 35 freight trains operating on CSX’s Western Avenue Corridor. The junction currently is “the equivalent of two interstates at grade with a four-way stop sign,” says Tom Livingston, CSX’s regional vice president-West region government affairs. “It gets very congested,” he adds. 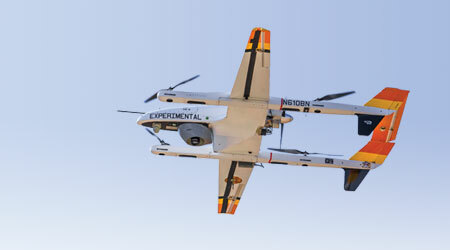 CSX is the lead railroad for the flyover and will oversee design and construction. For each program project, CREATE officials assign a railroad as the lead. Preliminary design has been completed for the flyover, and construction is estimated to start in early 2021 and conclude in late 2024, says Livingston. Once construction starts, it will be challenging to perform earthwork and trackwork while CSX tries to maintain operations at full strength in its Blue Island Subdivision, which includes the CIP area, he says. “We will try to stay coordinated among ourselves and with other railroads,” says Livingston, adding that some work might need to be done during evenings or on weekends. The flyover will open up nearby rail corridors and provide space to build three BRC and two Metra Southwest Service tracks underneath the structure, says CREATE’s Thompson. For CSX, the flyover and other aspects of the CIP will provide operational gains, just as other completed CREATE projects previously have given the Class I a lift. For example, a series of crossovers installed in late 2013 between CSX’s Blue Island and Elsdon subdivisions, along with new signals placed at Blue Island Junction, facilitated bi-directional train movements, says Livingston. Prior to that, CSX had double-track mainlines running roughly parallel through the junction without any connection between them. Likewise, NS is benefiting from previous program projects and expects similar results from the CIP, says Herbert Smith, the Class I’s director of government relations. The CREATE program’s Bill Thompson (at left) and Metra’s Bruce Marcheschi — who becomes the railroad’s chief operating officer next month — described the CIP and Forest Hill Flyover at a media event and tour held in July. For one, the Englewood Flyover — a three-track bridge completed in 2014 that separates freight and passenger train traffic at 63rd and State streets — eliminated a huge bottleneck for NS, Amtrak and Metra trains, he says. The bridge replaced a crossing between Metra Rock Island District tracks and NS tracks over which 78 Metra trains and about 60 freight and Amtrak trains crisscrossed each weekday. However, a few miles down the NS line that traverses the Englewood Flyover lies a busy crossover that’s used by Metra Southwest Service trains to travel through the CIP area. The flyover helps with freight and passenger operations, but some trains still stop near the crossover, says Smith. NS plans to eventually double the size of the 47th Street terminal via a 10-year, phased project, says Smith, adding that two phases are completed and the Class I is prepping for the next one. 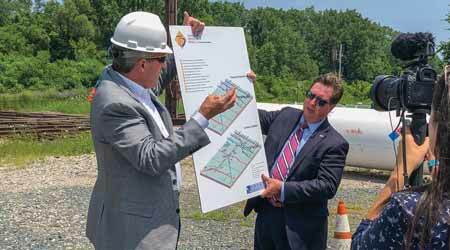 The railroad recently built a long lead track into the facility since NS officials now believe rail traffic in the area is more fluid — and figures to further improve because of the CIP. The flyover, CIP and other CREATE projects also will prompt more infrastructure-improvement investments by the railroads, he believes. “There will be spinoff opportunities with private investments, like with our lead track,” Smith says. For now, CREATE partners are preparing to start the Argo connections (B9) sometime in 2019. B9 involves new double track, crossovers and signals between a BRC and IHB/CSX line in Summit, Illinois, to accommodate higher train speeds. The project also includes various improvements at IHB’s Argo Yard to replace capacity lost as a result of new mainline crossovers. Yard work calls for realigning some switching lead tracks, installing three new yard tracks and building a new industry lead track to avoid switching within the control point. The additional yard tracks will reduce the amount of time cars occupy main tracks to be switched for local industries. The double-track connection will enable trains to boost speed from 10 mph to 25 mph, providing increased flexibility for dispatchers. In addition, trains will gain access to the new main tracks around the BRC’s Clearing Yard on the new east-west corridor. Increased speeds and improved fluidity on IHB’s line will allow trains to clear the Canal Interlocking more quickly, reducing the potential for conflicts between freight, Amtrak and Metra trains, and improving travel times and reliability, CREATE partners say. Meanwhile, the partners also continue to advance the Columbus Avenue grade separation (GS11) project, which received state funding earlier this year. The Illinois DOT will provide $49 million for the $65 million project through the state’s Competitive Freight Grant program. The remaining $16 million will be covered by the state and city of Chicago. Preliminary design is completed for GS11, which calls for eliminating a grade crossing at Columbus and Maplewood avenues in Ashburn, Illinois, that involves three BRC tracks. Either an overpass or an underpass will be built. No firm construction start date has yet been set, but GS11 might start before the CIP’s P3 and GS19 projects, says CREATE’s Thompson. The Columbus Avenue separation is designed to project reduce roadway congestion and improve safety at the crossing, which is used by 11,500 vehicles each day. The project will save more than 36,800 hours in motorist delays annually, CREATE partners estimate. Moreover, the location is designated a “911 critical crossing,” meaning it’s a crucial traffic point for emergency service vehicles to be able to access nearby communities despite a high frequency of train movements or delays there. That tie-in to public safety is another reason the crossing needs to be removed, the partners say. There are many advantages associated with each CREATE project, and all the benefits won’t be derived until the entire program is completed, says Thompson. 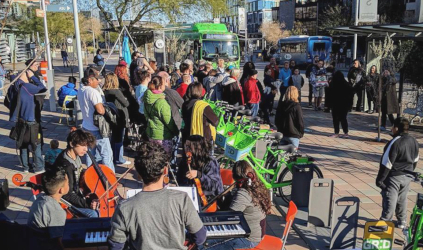 All told, the program is projected to generate $31.5 billion in public and private benefits over the next 30 years in terms of reduced shipping costs, lower fuel consumption and air emissions, economic growth, safer roads and other factors. Browse articles on Chicago Region Environmental and Transportation Efficiency Program CREATE Association of American Railroads Amtrak Metra BNSF Railway Co. Canadian Pacific CN CSX Norfolk Southern Railway Union Pacific Railroad Belt Railway Co. of Chicago Indiana Harbor Belt Railroad Co.